Taco Bell has updated their shredded chicken and rice with new recipes that are each meant to have a "new Mexican flavor profile." The new chicken should be more moist and features Mexican spices, tomato, onion, and garlic. 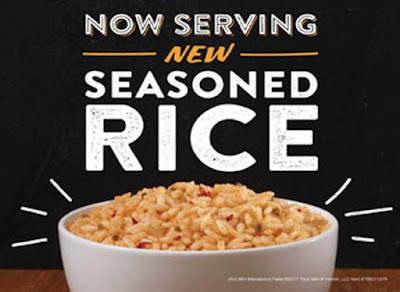 The new "Mexican-style" Seasoned Rice replaces Latin Rice on the menu and in various menu items. It is meant to be more flavorful and better complement the chain's other core ingredients. The rice is vegetarian-certified with a certified-vegan version to come by the end of summer.